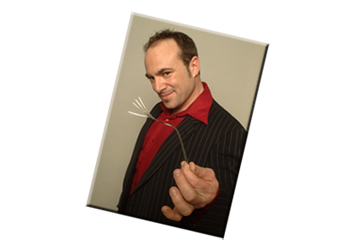 The ethics of magic and mentalism are…fuzzy. Magicians have long been at odds with people who claim to be psychic. Part of the reason is magicians look at psychics and see a performance. Back from the days when magician actually kept their secrets from one another, they spend loads of time sneaking into each others shows and trying to figure out how things worked ( like the rest of us). I can only imagine that when they saw psychics they did the same thing. “Oh, is that all you got? I can recreate THAT experience and I KNOW I’m not a psychic.” Magicians have been trained to be skeptical. But there’s also a different tradition that best summed up by a quote from the 1930’s mentalist The Amazing Dunninger, “No one pays to see a fake mind reader.” What he was referring to are magicians who ruin an audience’s enjoyment of a show by constantly reminding them that ‘it’s all a trick.’ Mind reading and other mentalism works because it treads so close to the believable, especially when its paired with pseudo-explanations like the ones popularized by Derren Brown and those of us who came after him. I find myself leaning towards the first tradition, especially these days where there is so many untrustworthy sources of information and bad science. People don’t know who to trust and if I’m claiming to read minds without caveats or disclaimers, I’m only adding to the problem. Some mentalists will counter my argument by saying everybody knows that it’s all theater and that my worries are unfounded. As evidence to the contrary here’s a recent encounter I had with an adult I met at a entertainment showcase. So I will continue to explain to my audiences that I create my shows tricks by combining sleight-of-hand, an understanding of human psychology and bald-faced lying. At least I can be honest about THAT.